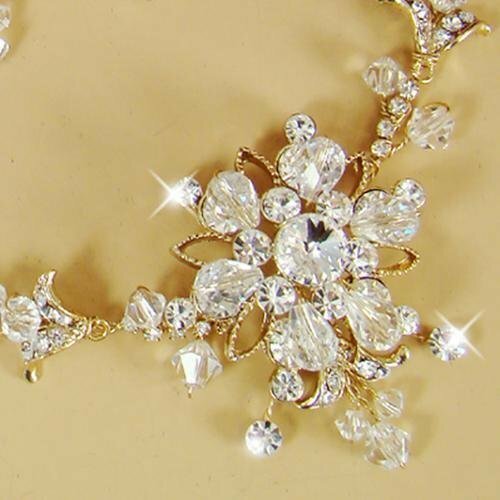 Stunning and sensational, this gold plated wedding necklace and earring set features clear rhinestones and sparkling Swarovski crystals in an exquisite flower and vine design. made from high quality materials. 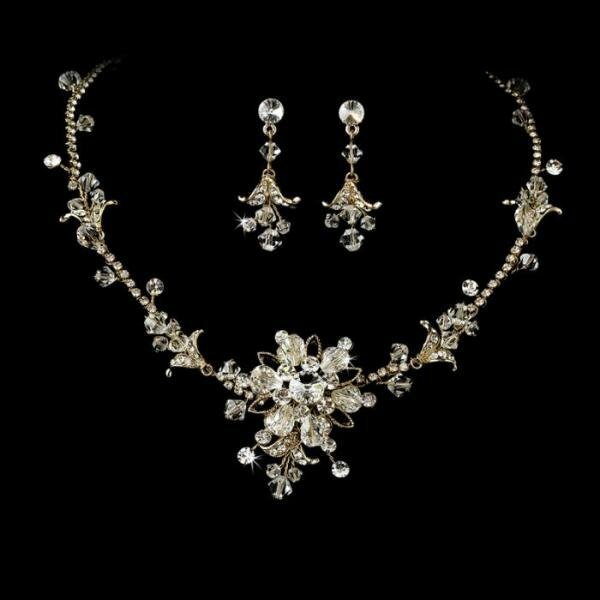 The perfect addition to your wedding, the set coordinates beautifully with your white or ivory wedding dress. The necklace measures 38 cm long with a 5.7 cm extender and lobster claw clasp. The earrings measure 3.8 cm long.